Topple will also assume the roles of Head of Global Sales and a member of the Managing Board. Euronext‘s London exchange has appointed Chris Topple as its new Chief Executive Officer effective mid-October 2018. He succeeds Lee Hodgkinson, who left the company in April to head up a proprietary trading firm after nine years with the UK arm of the exchange operator. Chris Topple, who worked in a variety of prime brokerage sales roles since 1993, will also assume the roles of Head of Global Sales and a member of the Managing Board, based out of London. With over 25 years’ experience in financial markets, Chris has held a wide range of senior executive positions at global banks and is currently co-running the prime services division serving hedge funds at Societe Generale. Paul Humphrey will be stepping down from the role of interim CEO, a position he held since Hodgkinson’s departure, but will retain his current role as Global Head of FICC. He will continue supporting the core trading operations while helping develop and implement new growth strategies. Topple served with Societe Generale for more than eight years and was named co-head of its prime services in May 2015. Before this appointment, he was responsible for leading the prime brokerage and clearing services sales teams globally since January 2012. Chris joined SG from Lehman Brothers/Nomura, where he spent five years as co-head of Prime Brokerage sales. 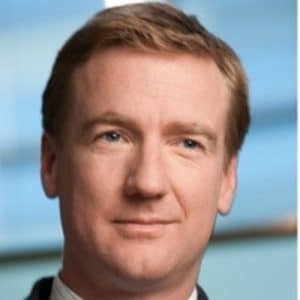 Before that, he worked for JP Morgan from 1993 to 2005 in a variety of senior roles, including Global Head of Electronic Trading Sales across Fixed Income, European Head of Fixed Income Prime Brokerage Sales and Head of European Clearing Sales.